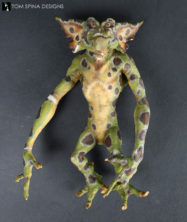 This miniature Gremlins 2 stop motion puppet was brought to us to for some sympathetic restoration/conservation and repairs. Other than the damage to the arm, there were a only a few areas which needed to be patched to help keep the structural integrity of the puppet. 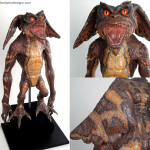 The challenge was the size of the puppet, at only about 7″ tall, all of the details and repairs had to be done on a much smaller scale. 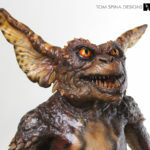 Luckily this was not the first time we had repaired a small scale Gremlin puppet and our crew, including lead restoration artist for this project Maria Teran has worked on the restoration of practically an entire army of Gremlins. 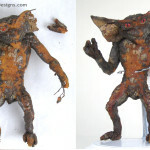 Although this gremlin puppet had damage to both his right arm as well as his right foot, we were fortunate enough that the client saved the pieces which had become dislodged and sent those to our studio when we began the work. Whenever we can, we always prefer to repair and reattach any missing pieces from the prop to keep the most original material possible. 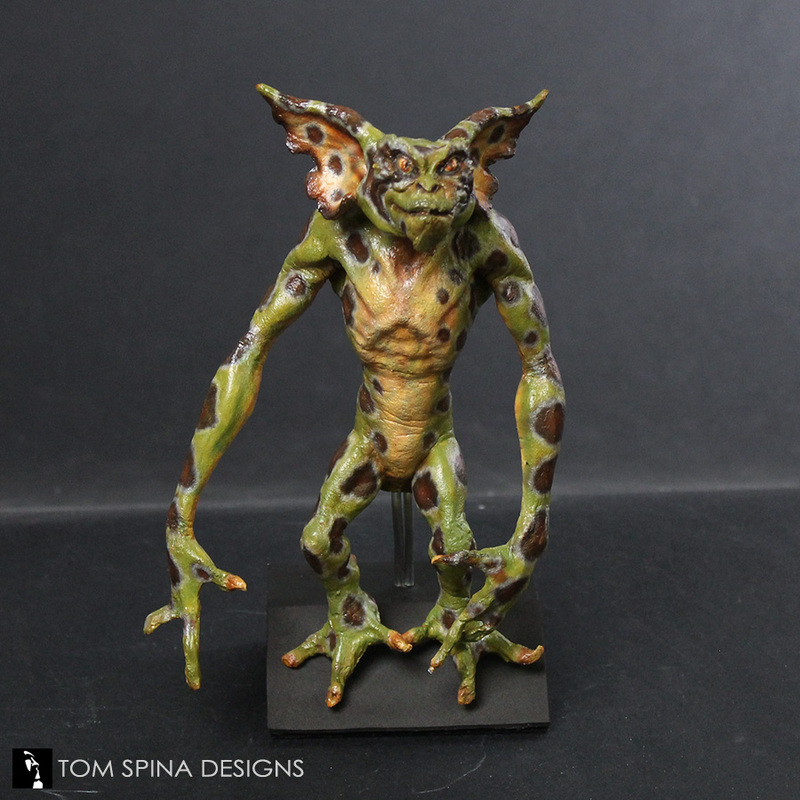 Maria reattached the gremlin’s arm along with all of his missing fingers and toes. 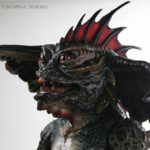 She also filled in a couple of spots along his ears, and face that had been damaged over time. With all of his minor reconstructive “surgery” completed she moved onto painting the patched areas (as always, only adding paint to the repairs themselves and maintaining as much original paint as possible). 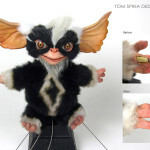 The entire puppet was also sealed to even our his sheen. 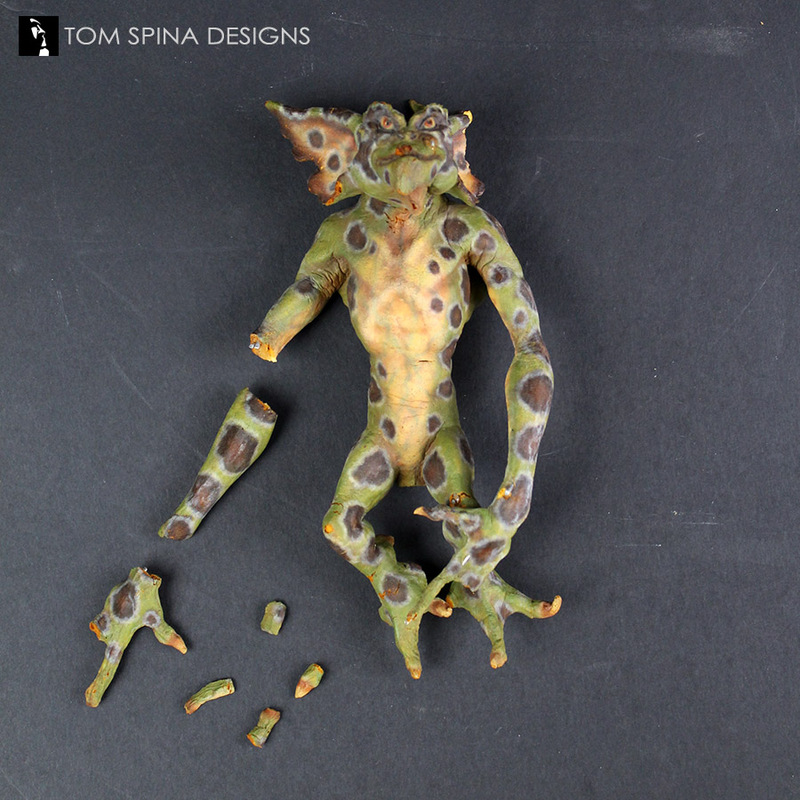 This was an even more delicate process than normal because of his small size. 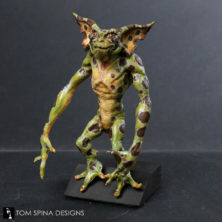 To finish off the restoration and to help protect the puppet from any further damage she created a custom display base which used a pre existing hole in the Gremlin’s underside as a receiver for a small post to keep him upright and looking good!